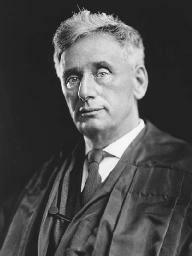 Brandeis also created a new style of legal writing, appropriately called the Brandeis brief. With his sister-in-law Josephine Goldmark, of the National Consumer's League, Brandeis produced the first legal brief to include copious supporting data. For Muller v. State of Oregon, 208 U.S. 412, 28 S. Ct. 324, 52 L. Ed. 551 (1908), Brandeis wrote more than one hundred pages in favor of an Oregon state law mandating a maximum ten-hour workday for women. Later, when asked for an appropriate title for the seminal Muller brief, Brandeis replied, What Any Fool Knows. In the document, he described the deleterious physical and mental effects on women of extended periods of manual labor. He included references to sociology, psychology, history, politics, employment statistics, and economics; this method of amassing data from several different disciplines to persuade the court became popular with other lawyers. The legal principles of the case were discussed in about two pages. Almost forty years later, his views on privacy were adopted in Katz v. United States, 389 U.S. 347, 88 S. Ct. 507, 19 L. Ed. 2d 576 (1967). In Katz, relying heavily on Brandeis's reasoning, the Court overturned Olmstead, ruling that government wiretaps were permissible only if they met procedural requirements of the Fourth Amendment.